Our goal is to raise a grand total of $200K for Children With Hair Loss—providing a hair replacement for 200 kids who can't grow hair. We're starting with a goal of $50K for 50 kids and will continue from there. 1. Donate to this campaign. You’ll receive a receipt for tax purposes by email. 2. Share this campaign. Anyone can share this campaign publicly via social media and email. 3. Join the team. Click here to join. If you haven’t met us yet, we’re The Longhairs: a global fraternity for men with long hair. We publish tips and tactics for guys with flow, advocate for hair equality, and celebrate men’s long manes with hair whips and high fives. We’re the creators of Hair Ties For Guys™ , the finest men’s hair ties in the world, offering these and other superior products on our website at thelonghairs.us, where we donate $1 for every sale to Children With Hair Loss. As we are so fortunate and grateful for the ability to grow our manes, we thought it only fitting to partner with Children With Hair Loss. They are an organization of kind and generous people, whose deeds heal the hearts of children and light smiles on their faces. 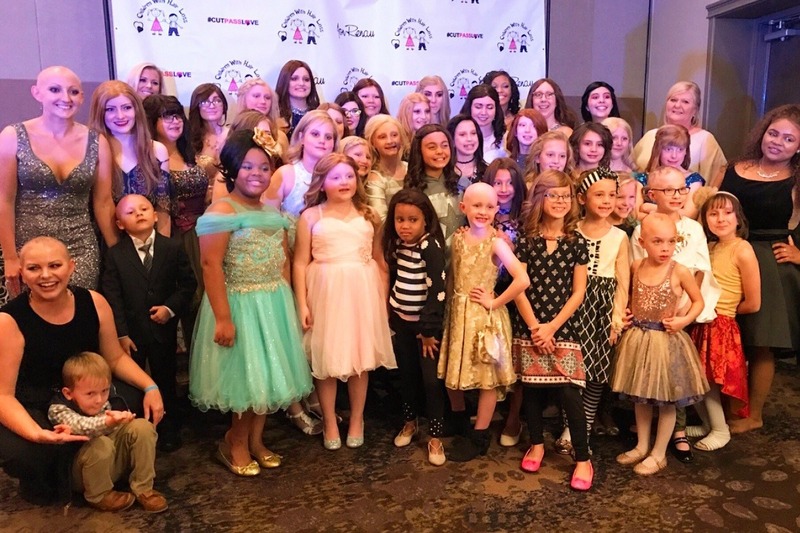 Founded in 2000 by Regina Villemure, Children With Hair Loss has helped more than 3,500 children face their daily lives with confidence and self esteem, providing customized hair replacements, care kits, support and education, all for free. Many people don't know that Regina, after helping children for 18 years, was diagnosed with cancer last year and lost her own hair to chemotherapy. The great news is her therapy has been effective and she is in remission. Even throughout her treatment she was going into the office making sure wigs were being sent to the children who needed them! 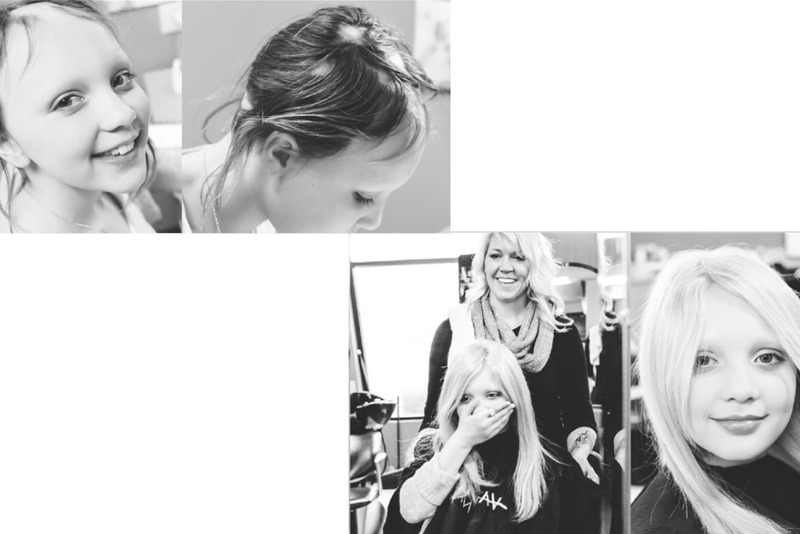 Regina and her team’s spirit of helping kids is why The Longhairs are so very proud to support our charity partners and the wonderful things they are doing. Which brings us to The Great Cut. On 3/16/19 we broke the Guinness World Record for the largest hair donation in history. An amazing 2,834 people donated 339.14 pounds of hair to provide hair replacements for 200 children with medically-related hair loss. WE PUT OUR PRECIOUS LOCKS ON THE LINE FOR THE KIDS...CAN WE COUNT ON YOU TO KICK IN A FEW BUCKS??! Change a child’s life and be part of history: donate today. Because long hair lives in the heart. It’s not until you see this video that you can really begin to feel what it was like to be at The Great Cut. Check it out to feel the heart and soul of the event! As always, your support is meaningful and appreciated. ★ Sharing our GoFundMe link and call to action on Facebook, in emails and direct messages, and by text with friends, family, coworkers, and neighbors! 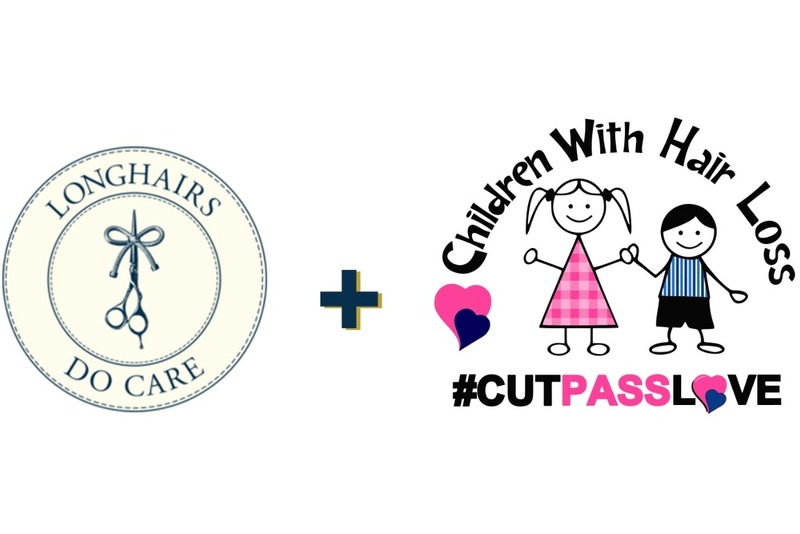 ★ Joining our fundraising team here: https://thegreatcut.us/the-great-cut-team-campaign/ You’ll be featured on our GoFundMe as a team member and will have the ability to share with your network, post content to the campaign, and thank every donor you bring in personally. One of the most amazing parts of The Great Cut was everyone sharing stories and talking about why this is important to them. By joining the team, you’ll connect with the people in your life about something important to you. Generous donors, supporters, and longhair champions...we did it!! The Great Cut was a massive success, hosting 1,300 hair donors, stylists, volunteers, performers and guests from across the globe - 349 hair donors at the event itself and 2,834 individual hair donations (from mail-in and in person cuts). A whopping 339.14 pounds of hair were donated, breaking the world record by less than half a pound! We are honored to have hosted an event with the profound implication that every single hair donor and every ounce mattered. Simply put, we could not have done this without each one of you! 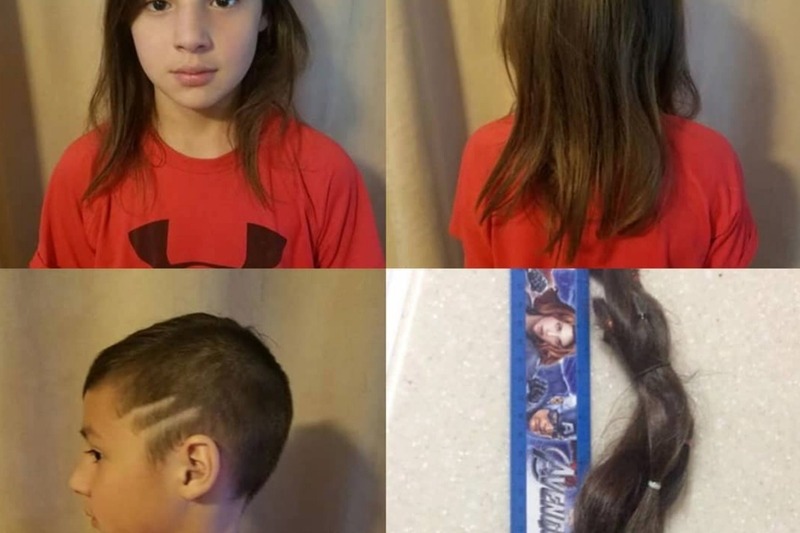 This little guy cut his hair for Children With Hair Loss. He measured it out on an Avengers ruler, and it's going to count towards a Guinness World Record at The Great Cut. Thank you to the Washburns for your contribution!